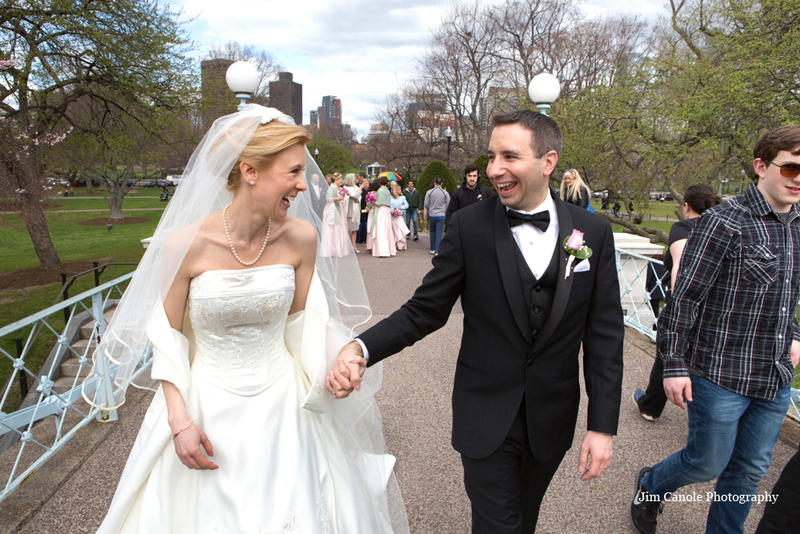 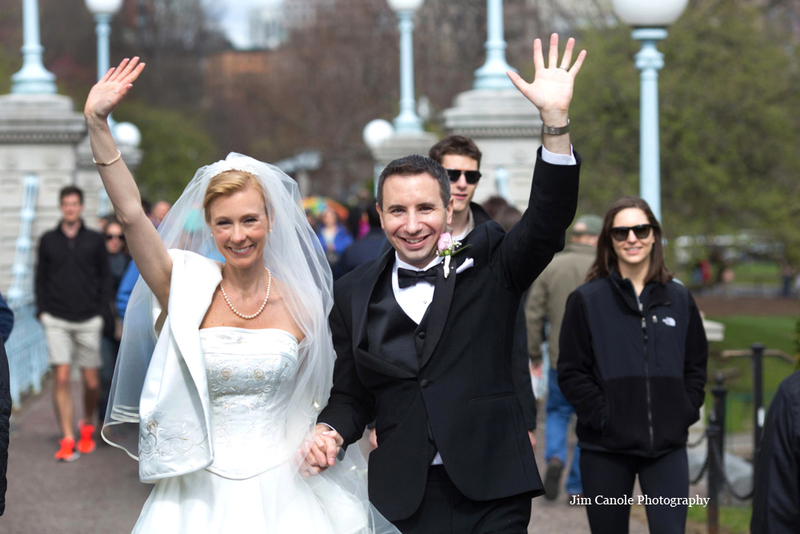 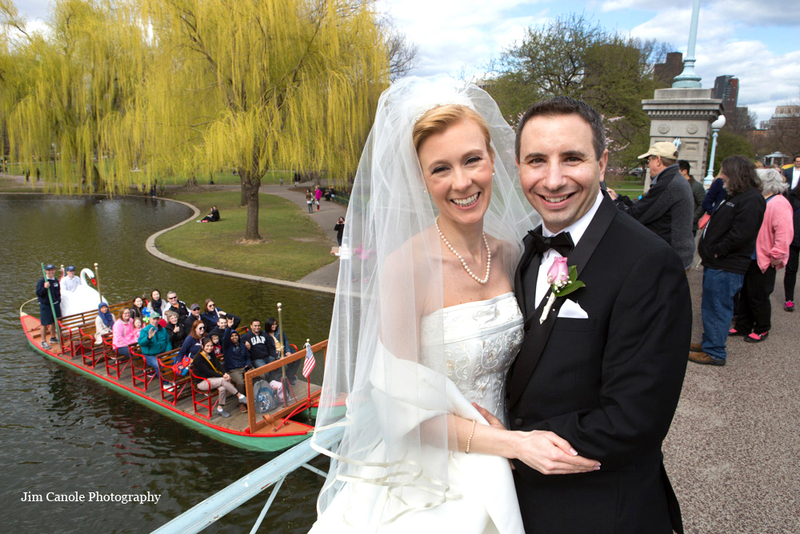 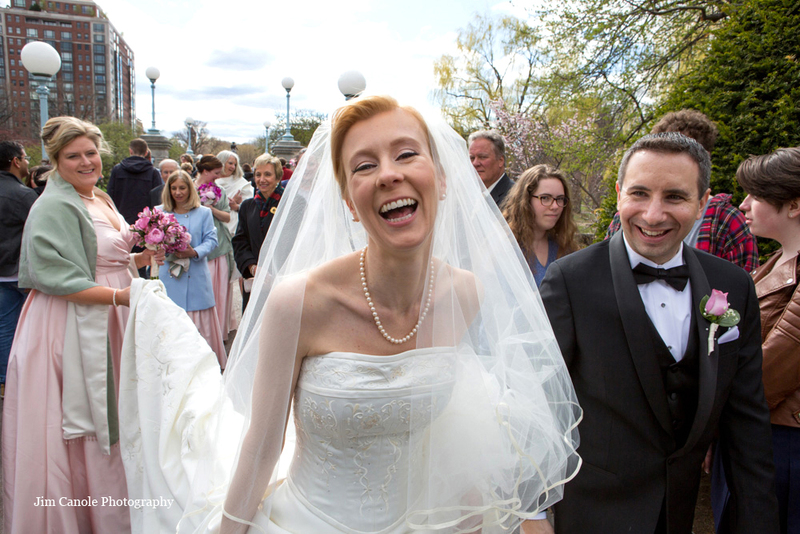 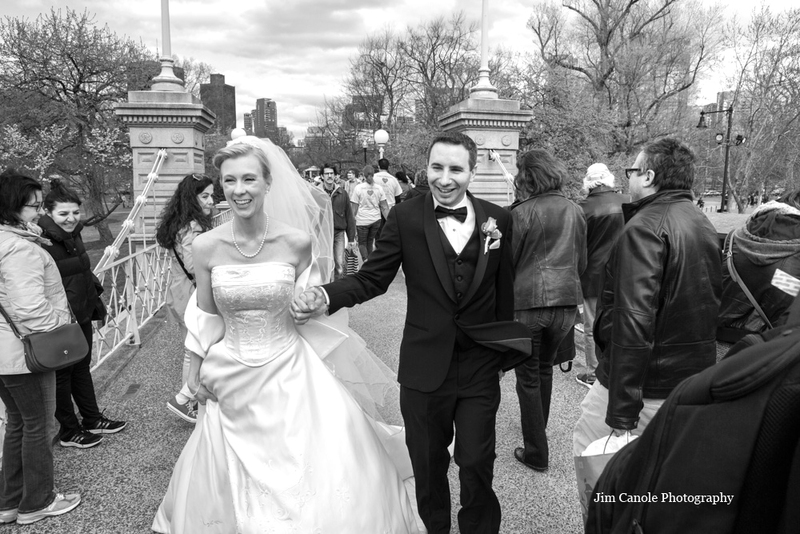 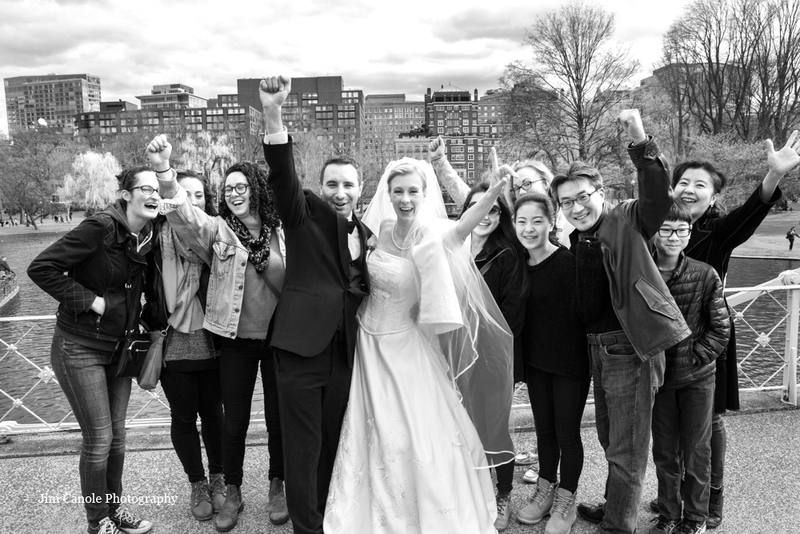 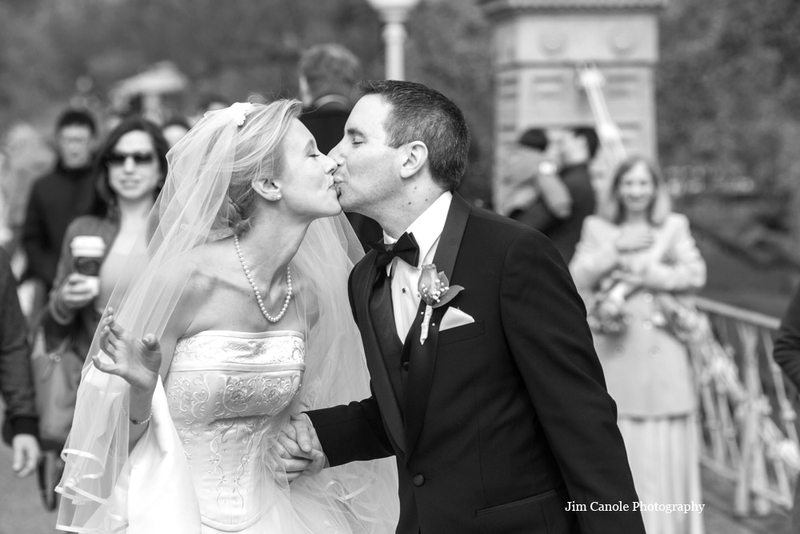 Beth and Rich were married less than an hour and they wanted to take a quick stroll across the Public Garden bridge in Boston. 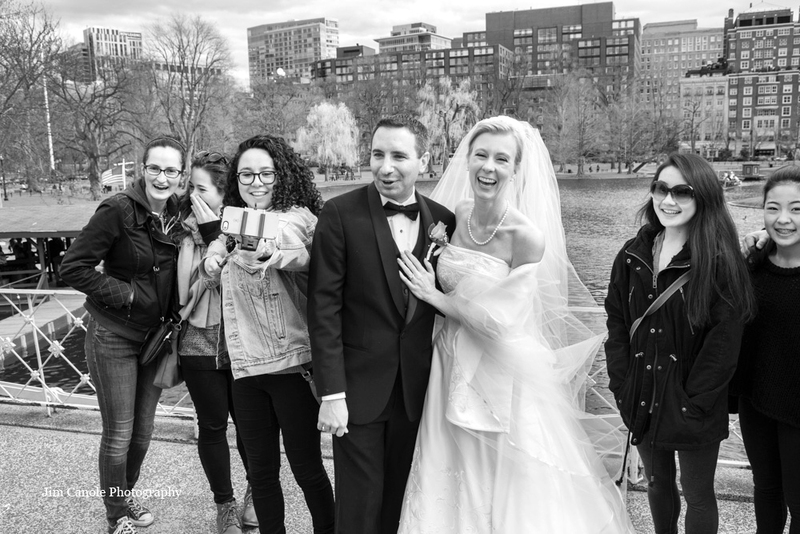 I loved the idea because on a nice spring day the bridge has flocks of people and I love seeing my couples bathing in the congratulatory spirit of the public. 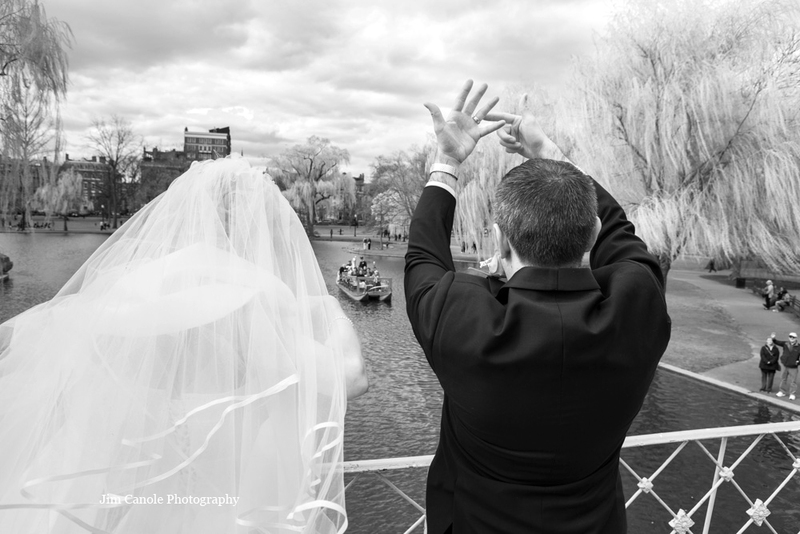 We were there for all of ten minutes, but were rewarded with many wonderful images. 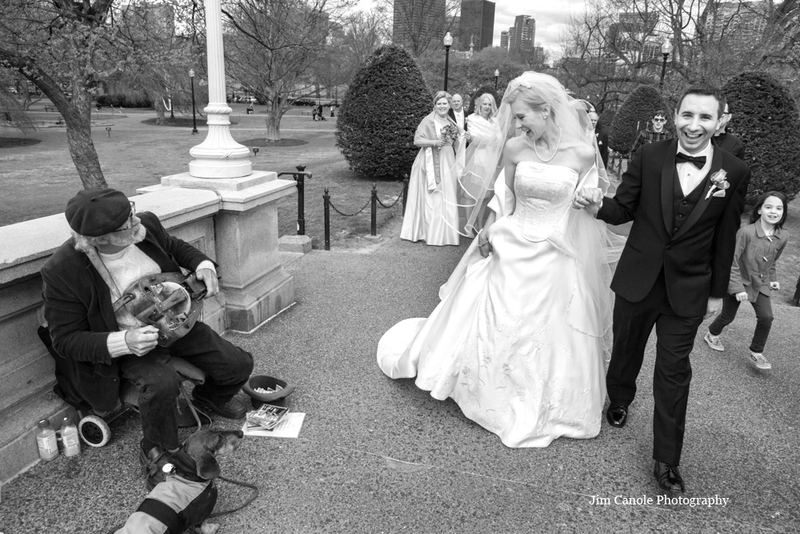 A street musician played ‘Here Comes The Bride’ on his unique musical instrument. 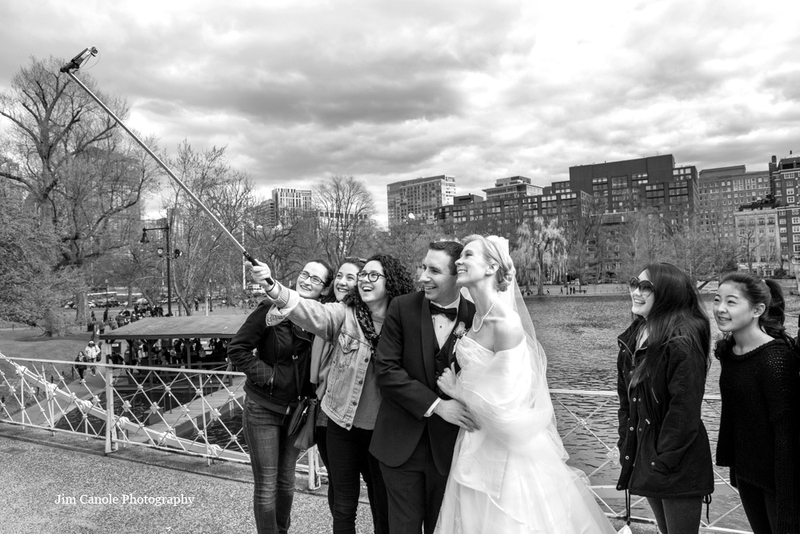 Tourists got a group shot with their selfie stick. 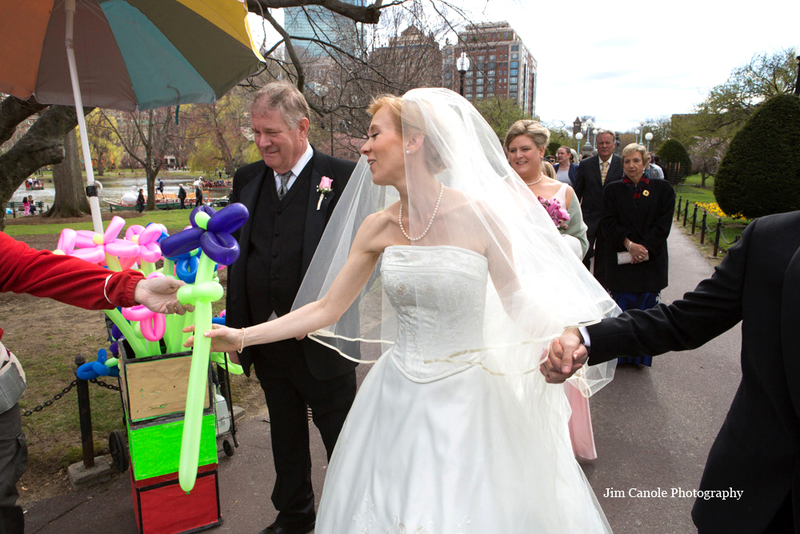 The bride even received a gift from a balloon artist. 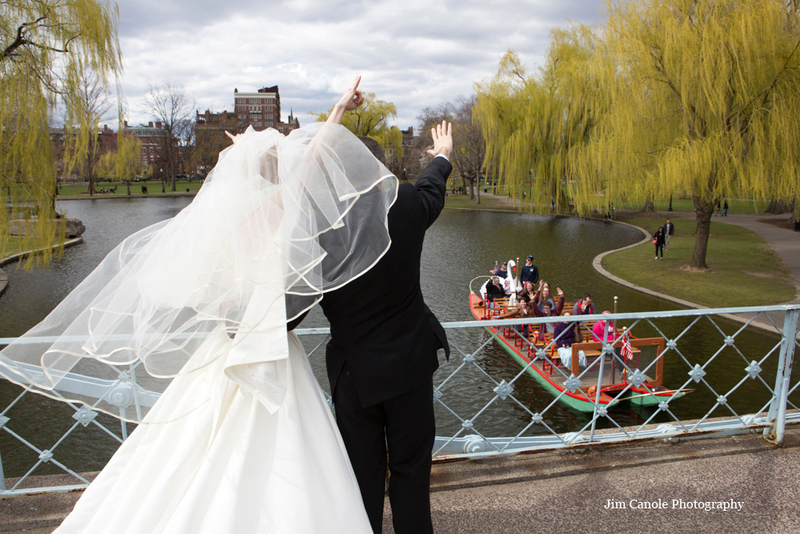 Thank you Boston!